Websentia offers Font Services using the state of the industry software from Fontlab, LTD. We use Fontlab Studio, Fontographer, TransType, and ScanFont. We can work from your design criteria or from native files of any of those software applications. The fonts that we encounter daily are actually software and are usually protected by copyright and include copyright and usage information embedded into the font itself. While we all are accustomed to having a wide range of fonts at our disposal, this doesn’t mean we can do anything we want with them. In fact, it is highly likely that anyone reading this page has already exceeded the stated limits of usage of one or more fonts. Websentia will review all font service requests with this in mind and advise to help you achieve your goal using a strategy that respects the legal rights of any font creators. Although we strive to act responsibly, we cannot take responsibility for your use of any font we have worked on. If you can send us a font, we can send you back the copyright information stored in it. We can also advise you on options to consider to achieve your intended purposes. Many times there are options that will work for you very well, while adhering to the copyrights of the font creator. This is the easiest way to use embedded webfonts. 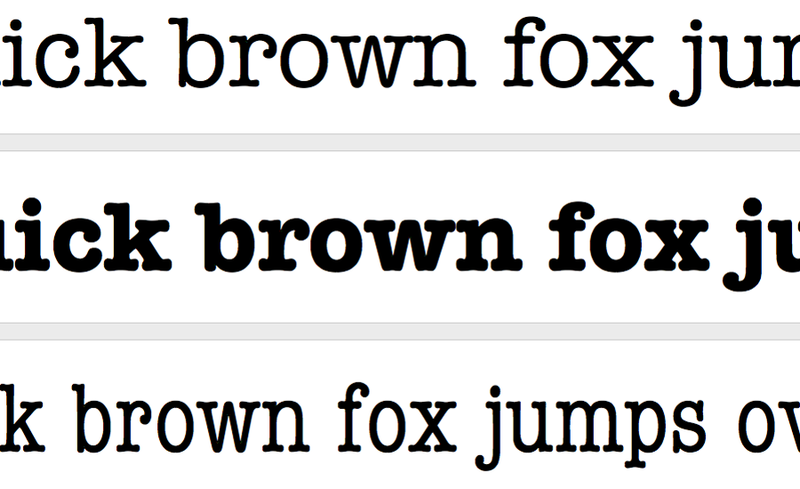 Google Webfonts offers a large selection of fonts that you can embed either directly from their servers or from your own website. These are currently offered at no charge. There are paid services such as those offered by Fonts.Com or TypeKit. Websentia can convert your fonts (if not restricted by copyright) to embeddable webfonts or you may use the online webfont generator service available at FontSquirrel.Com. 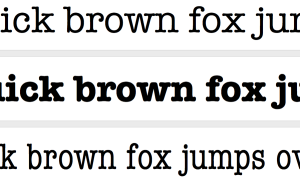 (They also ask that you affirm that there are no restrictions of use on the fonts you choose to convert.) When you use you own downloaded or converted files from within your own website, you avoid any downtime or slow response from other servers that are outside your site. This method is a little more painstaking and may add to your initial costs but offers the most control and safety from unforeseen service failures. MyFonts.Com offers fonts and embeddable webfonts for sale from a number of vendors. Oftentimes, these webfonts are really “leased” for a specified number of page views (either total page views or page views per month). Please read carefully the usage stipulations when you purchase a font to use in a website. If you have questions, please contact us and we may be able to clarify your issues. We will now explore the world of custom font design. While we may own hundreds of fonts that came to us with little or no effort, you must understand that there is a huge amount of work that goes into the making of a font. First, there is the design itself–a huge and artful undertaking. How does each letter or number look and how do they fit together into a cohesive whole that naturally fits together, is attractive to see, AND easy to read. WEBSENTIA DOES NOT DO THIS! Or at least, it is not our profession. There are already many, many choices for an attractive and functional font. What we do is create a special font for a specific use. An example would be a replication of historic printed material from the mid 16th century Spanish, French, and English printing establishments. Another example would be the replication of a person’s handwriting. Another hard fact of life accompanying this endeavor is that a computer will never really look like hand-scribbling as there are so many nuances to the human’s lack of consistency that really becomes an integral part of the overall character. Hard fact of life number two is that cursive handwriting is a lot more work to reproduce than “printing” is. It is possible to offer quick insertion of simple company logos, trademarks, or even official signatures that are included as characters within a custom font.